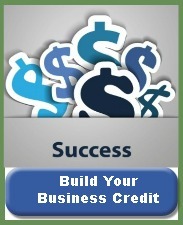 How to start up a small business that is not one of those here today gone tomorrow situations. You may be surprised that most start-ups fail within 3-years. Obviously you want to be different. That difference is doing the dull, run of the mill, mundane stuff up front, to build a solid foundation for success. I know you think you’re different: you’re smarter, have this gut-full-of-energy-feeling and life experiences to start right now and push forward to your vision of prosperity. This was me years ago. And yes, I learned, well, that I didn’t know it all. Mr. William Baker, a W. T. Grant Store Manager, who I worked for, decided (on his own) to mentor me. He stepped in at the right time saving me thousands of dollars, as I was literally hours away from signing a store lease in which I intended to open a back store with all kinds of equipment for sale to help consumers with back problems. I had researched suppliers for both store fixtures and back helping products. I even had co-op advertising lined up with multiple product suppliers. I was ready to go. My adrenalin was at a super pitch. To this day, I remember it all so vividly. I was pumped! I had not done my do-diligence. I hadn’t walked before I decided I was going to run! I was definitely not ready to start up a small business! If you are like I was, you think you already know enough about what you want to do that conducting market research seems a waste of time. You just want to start up a small business. 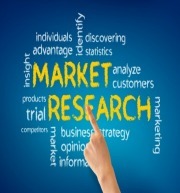 Failure to do market research and draft a business plan is the # 2 reason why businesses fail. I learned that if I didn’t know the road ahead of me, then all the bumps and hairpin turns were going to throw me off course and I was going to make bad business operating decisions when these occurred…and they will. Failure to identify and follow a realistic 2-year projected income and expense plan, including an analysis of cash on hand and in reserve, is the #1 reason for business failure. I recommend drafting an expense budget first and then add 20% more to it. I always estimated my income to be far more than actually occurred. To overcome this, I now recommend subtracting a minimum of 20% from it. I also learned that a realistic budget should be bare bones, listing only those items that I absolutely needed and not those that would be “nice” to have. Your accountant can save you a lot of headaches and a ton of dollars. Starting a brick and mortar (store front) company can easily cost $40,000 or more. If you start a small business using the Internet, your costs can be far lower than $1,000. The entrepreneur who wishes to start up a small business drastically under utilizes local resources that you should plug into at this early juncture of your planning. Being an entrepreneur is serious. Knowing how to "get it right" the first time is very important. My mission is to Pay It Forward. I bring my 40 years of experiences as an entrepreneur to assist you for free as you consider starting any online or offline business. This is not a trick or some come-on to get you to buy something. Nope, this is a sincere offer to help. Period. If I may help you, please just click on my photo above. Your company name (or URL if an Internet business) must only be made after you have identified and researched your competitors, otherwise known as market research. Your name (URL) must reflect the niche placement and marketing plan of your business. It’s a whale of a lot easier to pick a name once you know where you’re going! Your state’s Secretary of State must approve your trade name. They make sure there is no other registered name in the state like the one you chose. When you start up a small business this is critical. Only after that name is registered should you apply for other licenses and make any business related purchases involving your name. Apply for an Employer Identification Number (EIN). It’s free. It is used for Federal and State tax purposes. Your EIN will identify the structure of your company. Your Accountant will advise you how best to establish your company. Your City/Town/Township/State Dept. of Taxation may also levy an income tax and/or sales tax. You must then apply accordingly. Some banks, mostly a locally owned one, will give you free checking because they want you to use their credit card merchant account too. If you’re a wiz bang on the computer you may want to consider using any one of the several business accounting systems available. I always advise my clients to have your accountant advise you on this. 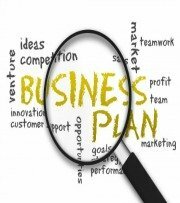 Now that your foundation has been built, it’s A-OK to follow your business plan. I’m wishing you the greatest of success. Thank you for visiting How to Start Up a Small Business that has Staying Power.